Inspiration for some holiday reading came from Sandra over on Book World and BritLitBlogs and I am most grateful to her for planting the idea that I should finally read Flannery O'Connor.Sometimes all you need is a little nudge, then JenClair mentioned her in comments and that was it, I'm over the edge and searching the shelves. I have a special bookcase for all my US women writers, they keep each other company nicely.There they sit shoulder to shoulder, fiction, biographies, letters, essays, diaries, Louisa May Alcott, Dorothy Canfield, Kate Chopin, Willa Cather, Charlotte Perkins Gilman, Susan Glaspell, Carson McCullers, Sarah Orne Jewett, Dawn Powell, Eudora Welty, Edith Wharton and thank goodness, The Complete Stories by Flannery O'Connor. I'm not a great short story reader and as always determine to become better at it each time I pick up a volume.Too often I feel I've been cheated out of a novel so the only way this will work for me is to space them out and leave some pondering time in between.The fact that Flannery O'Connor had 31 short stories published makes this all quite easy, one a day for the next month. My volume (which came for my birthday from Ex Libris in Ohio, I'm there at last Sharon) has the stories in chronological order of writing so I've read the first, The Geranium and have a real incentive to get to the end without cheating.The final one is a revised and expanded version of this story, re-titled Judgement Day and written just before Flannery O'Connor died tragically young at the age of 39. Already I'm sensing that she had a voice she wasn't afraid to use as she dissects and exposes the folly of the racial prejudice that must have surrounded her. There is an informative introduction by publisher and friend of Flannery O'Connor, Robert Giroux. 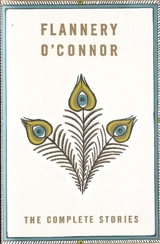 "Like Keats, who spoke Cockney but wrote the purest sounds in English, Flannery spoke a dialect beyond instant comprehension but on the page her prose was imaginative, tough, alive; just like Flannery herself." "One of Flannery's admirers was Thomas Merton who became more of a fan with each new book of hers. Over the years I came to see how much the two had in common - a highly developed sense of comedy, deep faith, great intelligence. The aura of aloneness surrounding each of them was not an accident. It was their metier, in which they refined and deepened their very different talents in a short span of time. They both died at the height of their powers"
Plenty there to bear in mind and Sandra cites several stories as real gems.I've made a note of those and will be quite excited to get to them and compare thoughts. Expect regular Load of Flannery updates.